What is an Affidavit Judgment? A creditor can file for a Judgment on Affidavit (also known as an Affidavit Judgment) if it has documents that it believes prove that a Defendant owes the creditor a specific amount of money. The lawsuit starts by the Plaintiff/creditor filing a Complaint/Application and Affidavit in Support of Judgment (District Court form DC-CV-001). If the Defendant does not file a Notice of Intention to Defend or does not appear at the scheduled hearing to challenge the affidavit, a judge will review the documents to see if they show that the Defendant does in fact owe the money to the Plaintiff/creditor. If the judge finds that the documents are adequate, the judge will rule in the Plaintiff/creditor’s favor without any further proof. If the judge finds that the documents are not adequate, the judge will deny the request for judgment and set the case for a new trial. See below for more information about these options. If you do not dispute that you owe the debt, one option is to accept a default judgment. If you do not file a Notice of Intention to Defend with the court or do not appear in court for the scheduled trial, the court can enter judgment against you for the amount the Plaintiff/creditor claimed. Once a default judgment is entered, you will be required to pay the creditor the amount of the debt claimed in the lawsuit and post-judgment interest will begin to accrue. If you do not pay the judgment voluntarily, the creditor will still have to go through the legal process to collect that judgment. For more information on how a judgment is collected, see below under Possible Outcomes. For more information about default judgments, see the page on Default Judgments. If you agree that you owe the debt, one possible option is to negotiate a settlement agreement with the creditor before the trial date. To negotiate a settlement agreement, you should contact the creditor to see if it will accept a payment plan that fits your financial situation. If you pay any money towards the debt owed before the trial date, you must notify the court to reduce the claim against you. It is critical that you put any type of settlement agreement or payment plan in writing. Keep copies and records of all the payments you make in paying off the debt. For more information about negotiating with opposing parties, see the page on Talking to the Other Side. If you are served a Complaint/Application and Affidavit in Support of Judgment and want to fight the claim in court, you must file a Notice of Intention to Defend. This notice is located at the bottom of your Writ of Summons. If you want to dispute the claim but fail to file the Notice of Intention to Defend, a judgment can be entered against you without a trial. Do not skip this step if you want to fight the claim. By filing a Notice of Intention to Defend, you are telling the court that you dispute the amount of debt claimed in the Affidavit in Support of Judgment. Once you file the Notice of Intention to Defend, the court clerk will send a notice to the Plaintiff/creditor telling them that you intend to defend the lawsuit. If you file a Notice of Intention to Defend, your case will proceed to a trial. If you disagree that you owe the debt or want to fight the lawsuit for other reasons, you can fight the case in court before a judge. If you filed a Notice of Intention to Defend, the court will schedule a trial. Even if you did not file a Notice of Intention to Defend before the deadline, you should still go to the hearing listed on the Summons to explain why the court should not enter a judgment against you. When you appear at court, the court will hear the case “on the merits." This means that the court will no longer consider the Affidavit in Support of Judgment on its own. Instead, the Plaintiff/creditor will need to be present in court to present its arguments and evidence to meet its “burden of proof.” The “burden of proof” is the Plaintiff/creditor’s obligation to prove its case. In debt collection cases, the Plaintiff/creditor must show by a “preponderance of the evidence” (meaning that it is more likely than not, based on the evidence presented at trial) that: (1) the debt is owed by you, and (2) the Plaintiff/creditor owns the debt. What if the Plaintiff/Creditor Does Not Show Up for the Hearing? If the Plaintiff/creditor does not show up at the hearing, the court will likely grant a postponement of the trial. This is called a continuance. A new trial date will be scheduled to allow both sides to attend. If a continuance or postponement is granted, the court will notify both sides of a new trial date. If a judgment is entered against you for the debt owed to the Plaintiff/creditor, the court itself will not try to collect the money from you. The Plaintiff/creditor, on its own, must attempt to collect the judgment from you. The Plaintiff/creditor cannot begin to collect any money from you within the first thirty days after the date the judgment is entered. If you choose not to voluntarily pay the creditor the money owed, the Plaintiff/creditor has several options to collect the judgment against you. The Plaintiff/creditor can: (1) garnish your wages; (2) garnish your bank account; or (3) seize your personal property or real estate. However, the law protects certain income and assets from being seized or garnished by debt collectors. Please visit http://www.peoples-law.org/income-and-assets-protected-creditors for more information. Additionally, for a more detailed description of garnishment, please see http://www.peoples-law.org/garnishment. 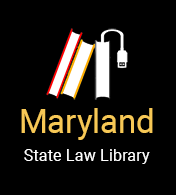 Originally posted by James Hetzel and Katelyn Vu, University of Baltimore School of Law Civil Advocacy Clinic (Fall 2014), practicing pursuant to Rule 16 of the Rules Governing Admission to the Bar of Maryland. Edited by PLL Contributors.